Specialist Gennaro Sapolito worked with traders at his post on the floor of the New York Stock Exchange on Tuesday. 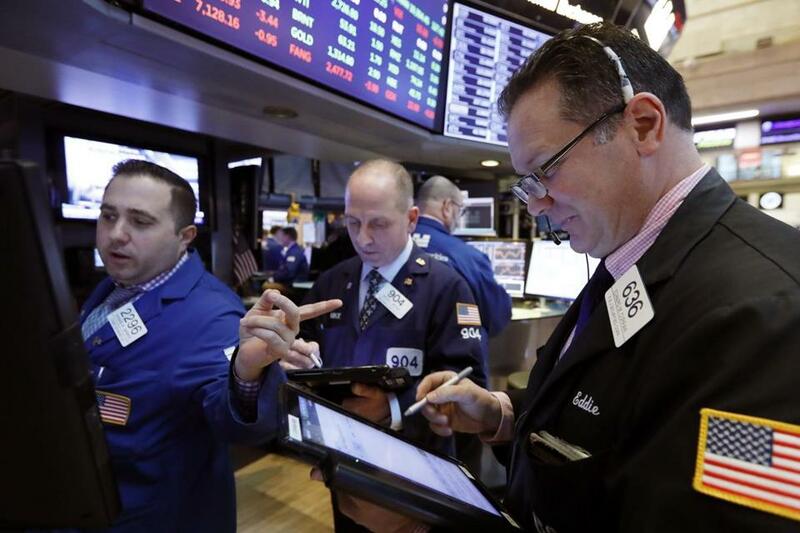 US stocks marched broadly higher in afternoon trading Tuesday as lawmakers avoided another partial government shutdown and US-China trade talks resumed. THE QUOTE: While the tentative deal to avoid a shutdown is welcome news, the key issue being weighed by the market is US-China relations, said J.J. Kinahan, chief market strategist for TD Ameritrade. ‘‘It really becomes about the story of the day; what is the rumor on how China-US negotiations are doing,’’ he said. ACTIVE WEAR: Under Armour climbed 8.2 percent after the maker of sportswear beat Wall Street forecasts. A surge in international sales offset a downturn in Under Armour’s US sales. Coty’s shares jumped 14.2 percent. OIL: US benchmark crude rose 2.1 percent to settle at $53.50 per barrel in New York. Brent crude, the standard for international oil prices, gained 2 percent to close at $62.71 per barrel in London.